Vintage Grainsack Heavy Linen Bed Cover / Coverlet / summer blanket. 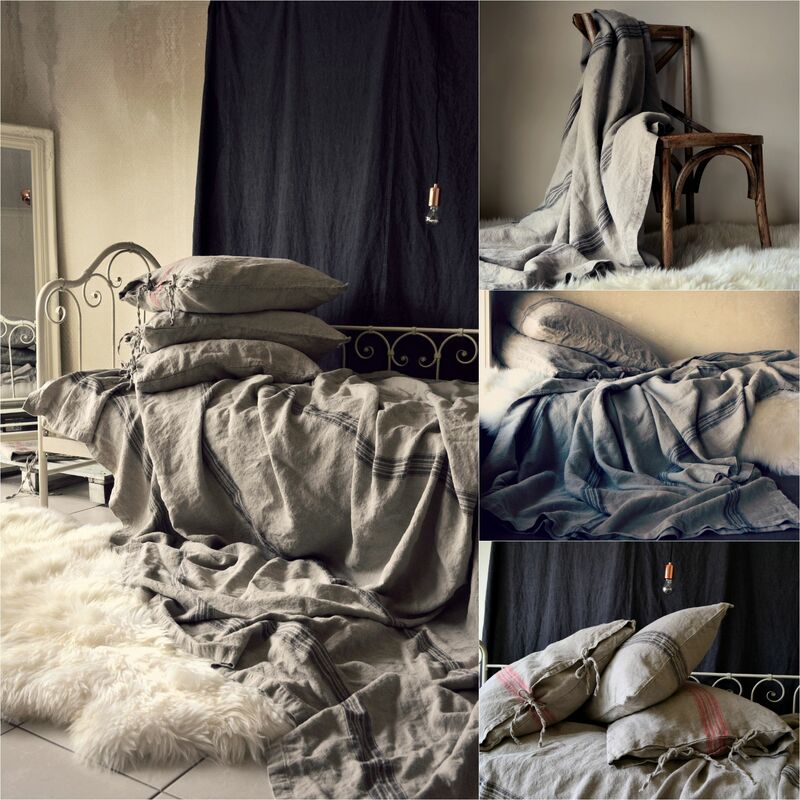 Heavy weight stonewashed, genuine European, handmade linen bedding. This grainsack linen- hands down can be named the "King" of linens! Heaviest, lushest and so beautiful. Exquisite heirloom piece and will last eternity. Queen size 250x270cm / 98"x106"
King size 270x300cm / 106"x118"
Black stripes on a natural flax background creates gorgeous rustic look. Double stitching in the middle( "jeans" stitch), mitre folded corners.